If you are looking for a rich and luxurious wedding theme, consider combining amethyst, pink and lavender for your colors of choice. The regal feel of the stunning amethyst color, paired with the flirty and feminine shades of pink and lavender is incredible! A bouquet made of antique pins and brooches will give a vintage feel to your theme. 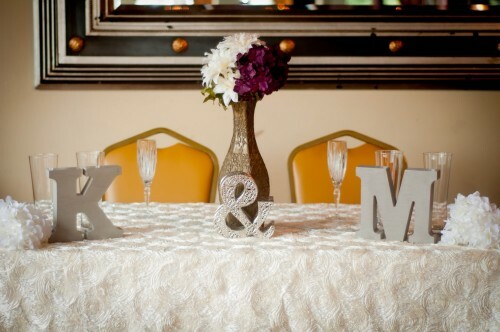 These are simple for brides to put together themselves. You can find many exquisite pins at local antique shops. 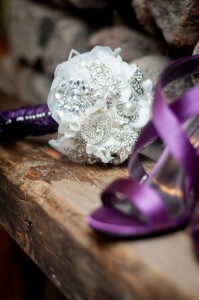 Many like to include family heirloom brooches in their bouquet for a special touch. 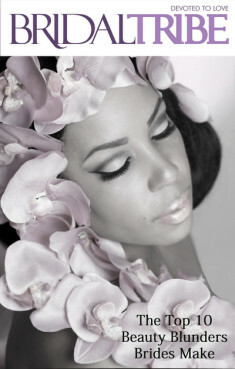 This type of bouquet gives a vintage feel that corresponds well with the amethyst, pink and lavender color scheme. 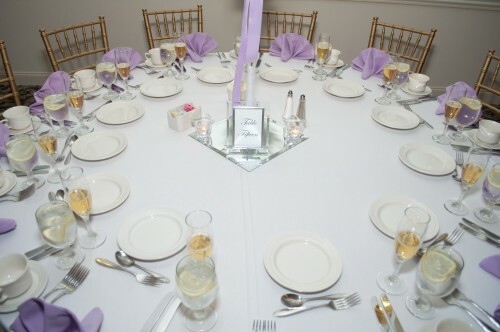 Give your reception venue a bold statement with amethyst colored chair covers and napkins, or go the lighter route with lavender as your main color, using amethyst as your accent. 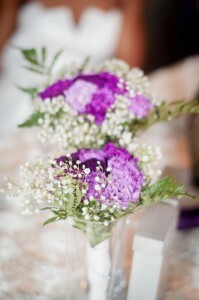 Tie tiny bouquets of coordinating flowers into bunches and place into each guest's wine glass. These make beautiful favors that are also useful as a table decoration. Purple overhead lighting along with lit candles gives the space a feeling of tranquility and charm. Lighting can set the mood, so be sure to keep that in mind when choosing the facility for your reception. A fondant wedding cake accented with lavender ribbon and lavender and pink fondant flowers looks dainty and coordinates well with the theme and feel to this color choice. 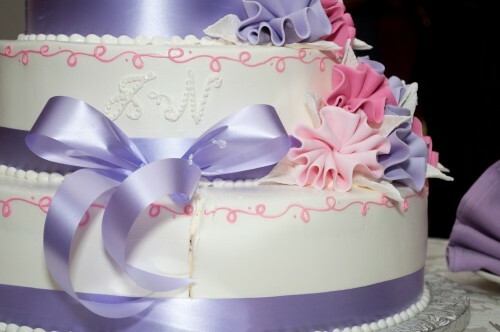 A more simple option is to have an all white cake, using only the main color for the flowers, and omit the ribbon accent. Rhinestones and amethyst go hand in hand. Bridesmaids can wear these sparkling accents in the form of earrings, necklaces or bracelets to give their outfit that extra bling. Rhinestones can also easily be added to shoes and hair accessories with a little glue.